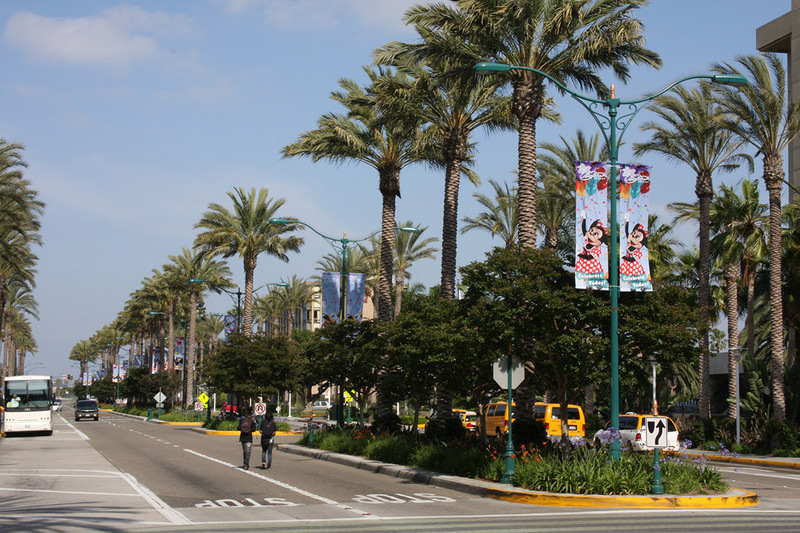 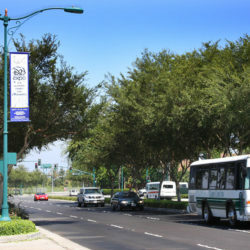 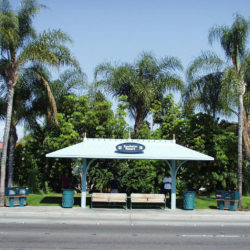 Convention Way, located within the Anaheim resort area, links a number of major hotels with the Anaheim Convention Center and a public transportation route to Disneyland and Disney’s California Adventure Park. 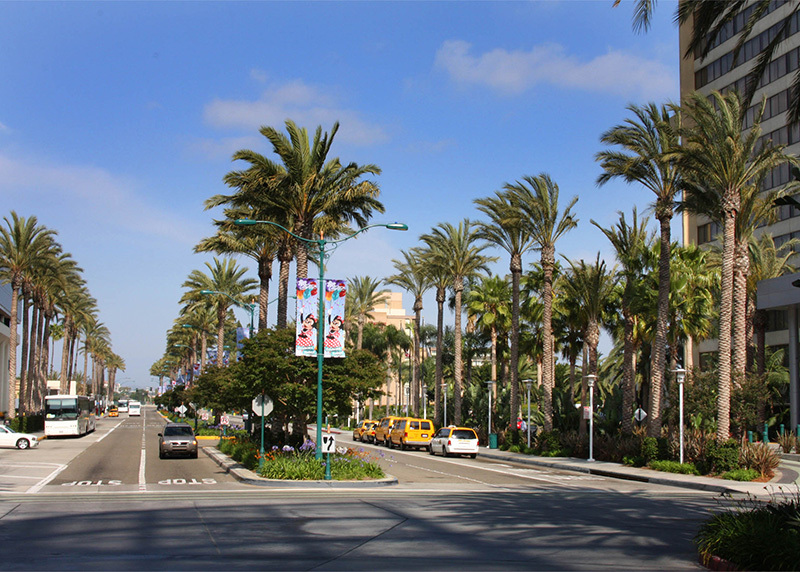 The palm lined streetscape creates a strong consistent visual corridor. 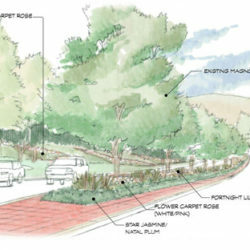 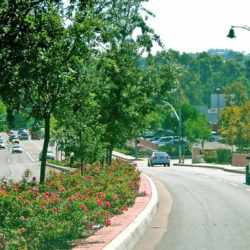 Streetscape elements provide a scale to enhance the pedestrian experience and include themed streetlights, colored banners, interlocking concrete pavements at the pedestrian crosswalks, flowering shrubs, and groundcover beds. 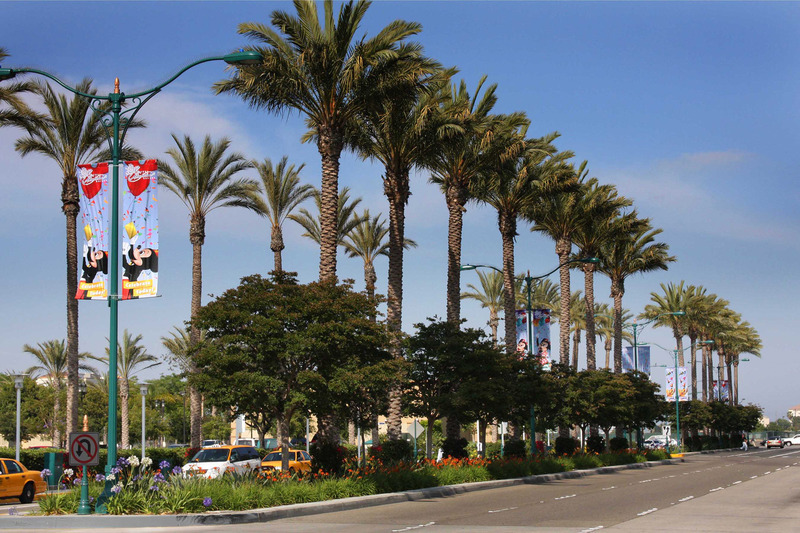 Landscape plant materials were introduced to accent and complement the adjacent Convention Center Plaza.